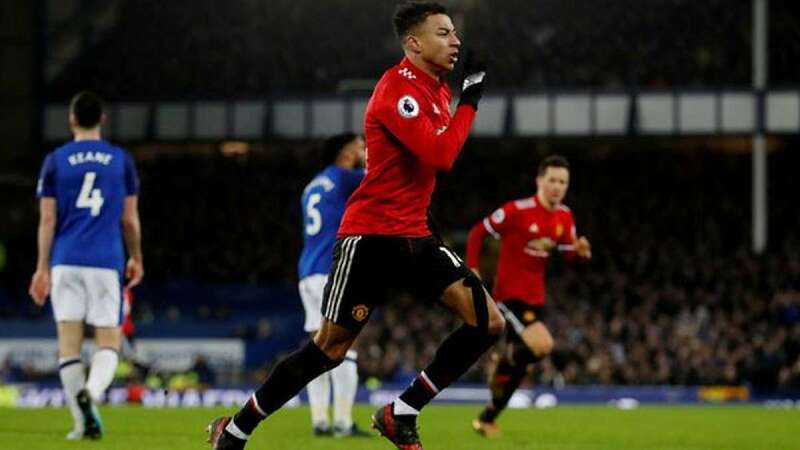 London : Manchester United moved back to the second position on the English Premier League table with a 2-0 away victory over Everton after three straight draws. Despite the win on Monday United are still 12 points behind leaders Manchester City, reports Xinhua news agency. Jose Mourinho's side began their first match of the new year at Everton without first-choice striker Romelu Lukaku, but Anthony Martial and Jesse Lingard both scored superb goals in the second-half to wrap up three points for United. "We believe in ourselves, we just had to wake up and today I think we did. We deserved to win against Leicester and Southampton, but that's football and today we did what we had to do," United midfielder Paul Pogba said after the win. It was Lingard's 10th goal of the season and his fourth in his last five appearances. The in-form England attacking midfielder received high praise from coach Mourinho. "Some players are not capable of that jump. They go from great potential to normal players. Lingard is giving that jump. "He is more consistent, he is adaptable, he understands better the game, he is going in a good direction," Mourinho added. Liverpool beat Burnley 2-1 thanks to Klavan's goal in injury time, and the Reds are now ranked fourth place on the table, one point behind Chelsea who will encounter Arsenal on Wednesday. Stoke City and Newcastle United met each other in the rain. Ayoze Perez scored the only goal in the match, giving Newcastle a narrow 1-0 victory to move away from the relegation zone.